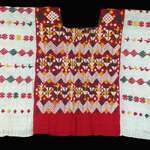 See 29-60-4. 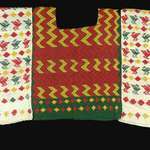 Middle body green; sides yellowish white. 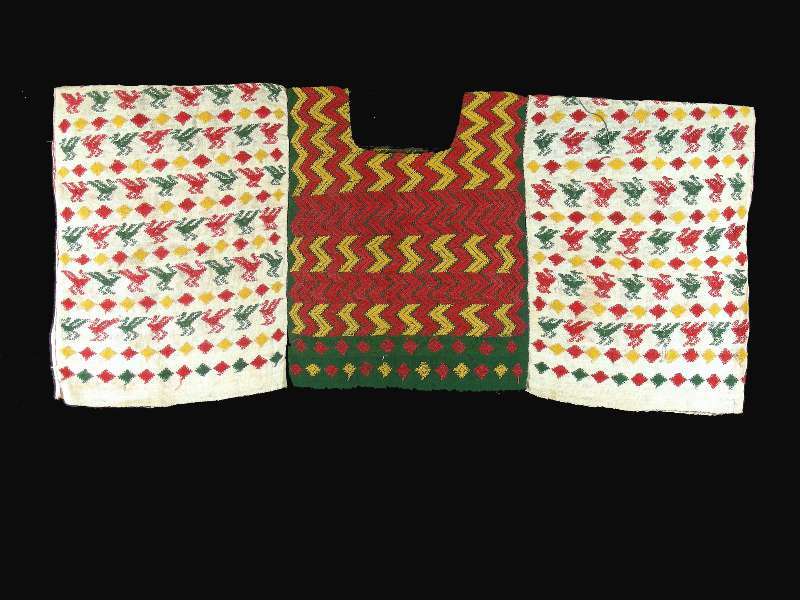 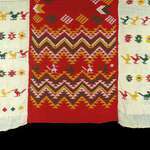 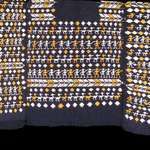 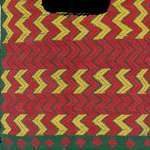 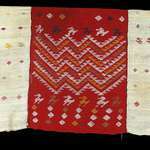 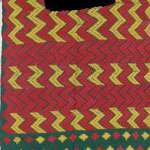 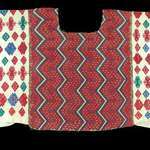 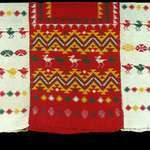 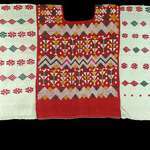 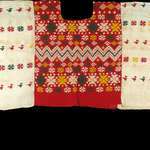 Embroidery colors; red, yellow and green; patterns include horizontal bands of vertical zigzags and rows of birds and dioamonds.